Stimulite Contoured Pediatric Seat Cushion, constructed by Supracor, delivers optimal positioning and comfort. 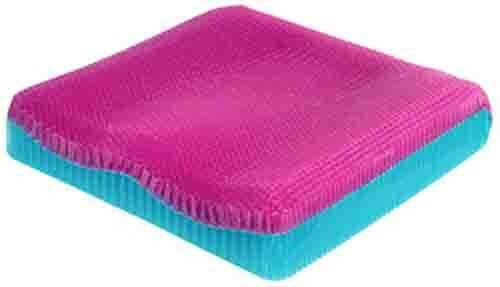 In fact, to ensure exceptional positioning and comfort in this seat cushion, the Stimulite Contoured cushion for children consists of abductors, abductors, and an ischial dish to comfortably post a child in an upright position. The Stimulite Contoured Pediatric Seat Cushion differs from other seat cushions by integrating a soft top layer and melding it to a substantially firmer base made of pliable Stimulite honeycomb, a flexible cellular matrix to regulate temperature and moisture. By controlling temperature and moisture, you are helping to prevent the development of decubitus ulcers, commonly known as bed sores or pressure sores. In addition to the Stimulite honeycomb managing temperature and moisture, it also securely and safely holds a child in place. Overall, the Stimulite Contoured Pediatric Seat Cushion provides a child unparalleled pressure relief, stability, shear force reduction and preeminent ventilation. All of these features add up to a very comfortable chair cushion for children. To ensure comfort, the Stimulite Contoured Pediatric Seat Cushion is 2.5-inches thick and weighs a minimal 1 to 2 pounds. Because of its lightweight build, this Supracor cushion is perfect for all activities. Additionally, as with the entire line of Supracor cushions, the Stimulite Contoured Pediatric Seat Cushion is machine washable. 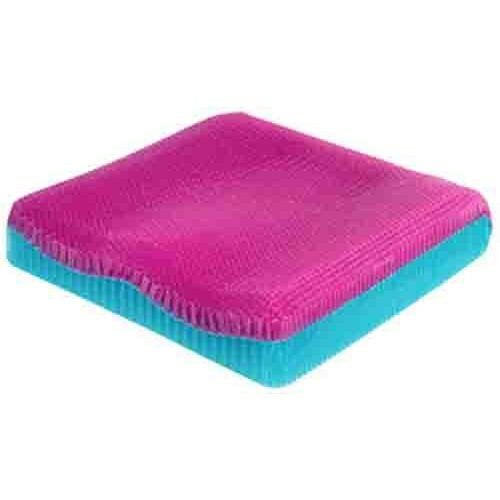 To effectively alleviate discomfort and prevent decubitus ulcers, bed sores and pressure sores, order this long-lasting, yet comfortable and supportive seat cushion for your child today! Conforms to unique body anatomies. Great at preventing decubitus ulcers, bed sores, and pressure sores. Integrates Stimulite honeycomb to regulate heat and moisture. Perfect cushion for all activities. Provides pressure relief, stability, and superior comfort. Product Numbers: PDCD1010, PDCD1212, PDCD1414. Sizes (all measurements are in inches): 10 x 10, 12 x 12, 14 x 14. Application: To alleviate pain and discomfort from pressure sores, decubitus ulcers, and bed sores.